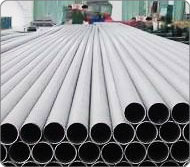 We are leading supplier and exporter of a wide range of premium quality ERW Pipes. 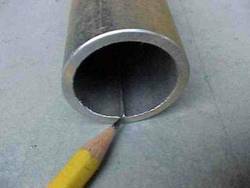 Our range of products in this category includes Nickel Alloy ERW Pipes, Inconel ERW Pipes, Alloy 20 ERW Pipes, Cupro Nickel ERW Pipes, Titanium ERW Pipes, Duplex Steel ERW Pipes, Hastelloy ERW Pipes, Monel ERW Pipes and Stainless Steel ERW Pipes. These products are available to our customers at market leading prices. Our company is engaged in supplying a broad range of Stainless Steel ERW Pipes to our national as well as international customers. Designed with latest technology, these good quality pipes can be used in boilers, heat exchangers, condensers, gas processing industries and construction works. Our expert professionals work with utmost precision to deliver the consignment to the clients within minimum possible time. 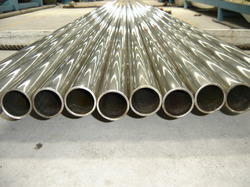 We procure and provide a qualitative range of Nickel Alloy ERW Pipes at highly affordable prices. Our precision-engineered pipes are widely used and appreciated by our clients for their sturdy designs, dimensional accuracy, application specific construction and uniform mechanical properties. We also offer the facility of third party inspection to garner maximum client satisfaction. 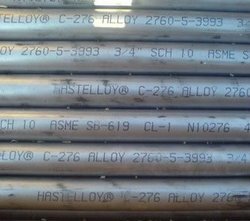 Being a customer-centric organization, we export a wide assortment of Alloy 20 ERW Pipes. 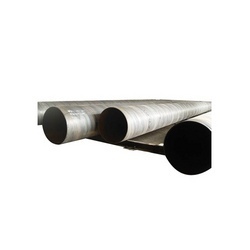 Fabricated from high grade raw material, these pipes are famous among our customers for their key features like sturdy construction, robust designs, high tensile strength and good mechanical and physical properties. We work in close association of our customers to provide their orders within stipulated time periods. 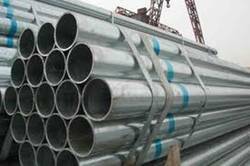 We acquire superior quality raw material from reputed vendors to supply a multitude of Duplex Steel ERW Pipes. Available in various dimensions, these pipes can be used in hydro-carbon plants, oil refineries, petrochemical industry, cement industry, power generating plants and construction works. These products are designed under the guidance of industry experts to meet increasing market demands. Backed with years of industry expertise, our company provides an exclusive range of Titanium ERW Pipes to our national and international customers. These excellent quality pipes can be easily installed and are provided with application specific designs to suit specific requirements of different industries. Our trained professionals make it a point to deliver these products with utmost safety and within minimum possible time. We are leading provider of a wide variety of good quality Inconel ERW Pipes to our global customers. 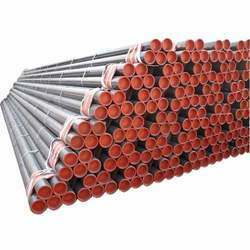 These electric resistance welded pipes are apt to use for various purposes like domestic and industrial fencing, scaffolding and other engineering-related applications. Fabricated from high quality raw material, these pipes are offered by us at industry leading prices to meet growing market demands. 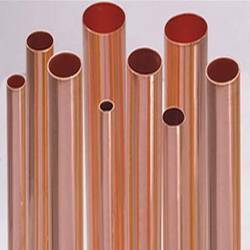 Well known as a reliable company, we offer a gamut of Cupro Nickel ERW Pipes to our respected customers. Our skilled professionals work in close association of our clients to provide these pipes as desired by the customers. Available in various length and outer diameter specifications, these durable pipes are very accurate, efficient and highly functional and can be ordered in regular and bulk quantities.